Ed Rosenthal is among the world’s foremost experts on cannabis cultivation. His passion for discovering, developing, and sharing innovative and effective techniques and tools takes him around the globe. He has written or edited numerous books on marijuana cultivation, culture, and policy, and his vigorous efforts have contributed greatly to the changes we see today. His latest book, Beyond Buds, is the first to cover the shift from smoking to vaping and dabbing concentrates, providing the most up-to-date information on how to make and use extracts—from methods using butane and CO2 to the basics of infused products such as edibles and tinctures. His Marijuana Grower’s Handbook—an official course book at Oaksterdam University in Oakland—helped revolutionize the field. Rosenthal has always seen marijuana as an important social issue, and its use as a personal right. 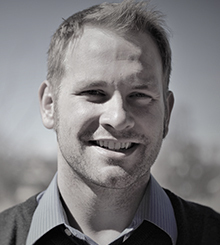 He serves as the Executive Director of Green Aid: The Medical Marijuana Legal Defense and Education Fund, a nonprofit organization that was founded to support those unfairly prosecuted for medical marijuana, and to educate the public. 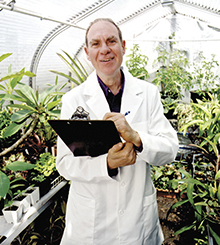 Beyond writing and activism, his botanical research led to the development of Ed Rosenthal’s Zero Tolerance®, a line of natural pesticides and fungicides. 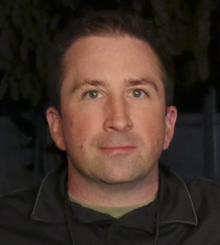 Rosenthal also works as a consultant for commercial growers, both independently and as a Master Grower with Quantum 9, a cannabis consulting and technology firm. His studies continue to influence myriad facets of the rapidly expanding world of cannabis now. 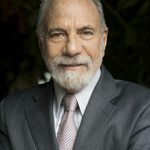 Since 1967 Bruce M. Margolin, as an activist, has been relentless in his efforts to legalize marijuana. As a criminal defense attorney he continues to effectively represent his clients against all types of criminal charges and has successfully defended thousands of marijuana cases. As a candidate for Governor of the State of California in 2003 and the United States Congress in 2012 he has help establish the credibility of marijuana legalization policies. 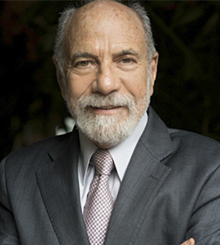 Mr. Margolin has served as Chairman of the Ethics Committee for the National Association of Criminal Defense Lawyers and has been the Director of the Los Angeles Chapter of the National Organization for the Reform of Marijuana Laws (NORML) since 1973. He was awarded the Certificate of Appreciation from the American Civil Liberties Union, as well as received honors for his work on behalf of the Constitution Rights Foundation. Colorado native, industrial hemp farmer, processor, product developer, extractor, first hemp seed distributor, owner of Colorado Hemp Coffee, Colorado Hemp Leaf Tea. 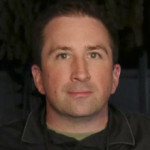 Creator of GrowHempColorado.com and The Hemp Growers Guide. 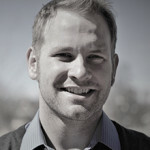 Tyler Delker was born and raised in Abilene, Kansas and has a passion for Marijuana. He moved to Denver, CO in July 2010 to pursue a career in the Cannabis industry and came aboard Green Mountain Harvest in March 2012 performing trimming, harvesting, and gardening duties across Colorado. He devoted himself because of his belief in the industry and Green Mountain Harvest’s vision of success. Currently as the CEO of Green Mountain Harvest he has had the pleasure of working with over 80 wonderful employees and brings the company vision of success to those great people. He has had the fortune of watching this industry and the people within it grow over the past 4 years and takes pride in the fact that Green Mountain Harvest are law abiding pioneers who are writing the next chapters of world history. Tyler has seen the Vision of Success that Susan has been achieving since the beginning of the company and brings that vision to the rest of the company. Tyler oversees all of the employee and customer relationships and ensures the workers in the field and the office staff are integrated and streamlined for efficiency. Title for Day 1: How Research and Breeding Raise Crops from Obscurity to Category Leader Status. Title for Day 2: Hydroponics and Locally Grown Food: Greenhouse, Warehouse, Your house. 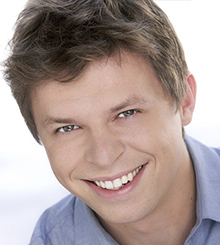 Peter grew up on a family farm and retail greenhouse operation in eastern Massachusetts and earned his B.S. in Plant Science at the University of New Hampshire. Both his M.S. and Ph.D degrees were earned at the Ohio State University, specializing in commercial floriculture and graduating in 1982. 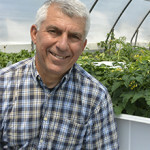 He began his career as a faculty member in the Horticulture department at the University of Maryland before returning to Massachusetts to run his family’s greenhouse operation. 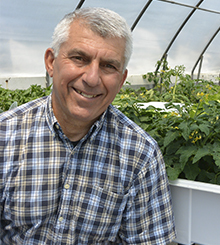 Soon after returning home he created his research and consulting business, Konjoian’s Floriculture Education Services, Inc., and has been immersed in both the commercial and research arenas of the U.S. greenhouse industry for over four decades. He has maintained an adjunct faculty appointment at the University of Massachusetts and completed a three year, visiting faculty position at Ohio State in 2005. 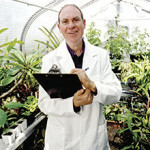 In 2012 his research focus shifted from ornamental crops to edible crops, currently spending almost all of his time researching hydroponic production techniques for greenhouse and indoor vegetable production. His research is focused on teaching fellow growers how to profitably participate in the expanding locally grown food movement. Peter received Ohio State’s Distinguished Alumni Award in 2006, has been elected to the Ohio Florists Association board of directors twice, chaired several committees over decades of service, and has presented over 600 professional seminars around the country and Canada. He is a prolific author and publishes in a range of trade magazines and other professional platforms. Past experiences also include a weekly radio gardening show and weekly newspaper column. Co-Founder / COO GreenBroz, Inc.
Aaron has a background in organic certification and small business, starting with developing urban farming solutions for inner city locations and running part of Oregon Tilth Certified Organic (OTCO) prior to jumping full time with GreenBroz, Inc. Currently he is the right hand man at GreenBroz, ensuring everything runs as smoothly as possible and leading our sales team. He earned his B.S. in Biology from Northeastern Illinois University in Chicago, IL after serving in the U.S. Navy for 4 years as an Avionics Technician. Title for Day 1: Want to Grow Big Fat Sugary Buds? Title for Day 2: Want to Grow Big Fat Sugary Buds? Vaedynn is a one of a kind weed-ucator. With his finger pressed firmly to the beat of the industry, Vaedynn travelled the country extensively to master the secrets of the art of horticulture. Having been with Advanced Nutrients for over 7 years, he’s helped thousands of other growers maximize their results to unbelievable heights and profits by showing them how to grow the best medicine around.